A compact and attractive one-year devotional. 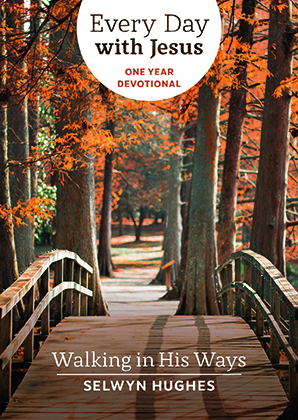 This 'Every Day With Jesus' release features reflections to guide your walk over the coming year. Looking for a stimulating one-year devotional? The grand design - meditations on the Book of Revelation. Every Day With Jesus One Year Devotional by Selwyn Hughes was published by CWR in September 2018 and is our 4353rd best seller. The ISBN for Every Day With Jesus One Year Devotional is 9781853453144. Be the first to review Every Day With Jesus One Year Devotional! Got a question? No problem! Just click here to ask us about Every Day With Jesus One Year Devotional.